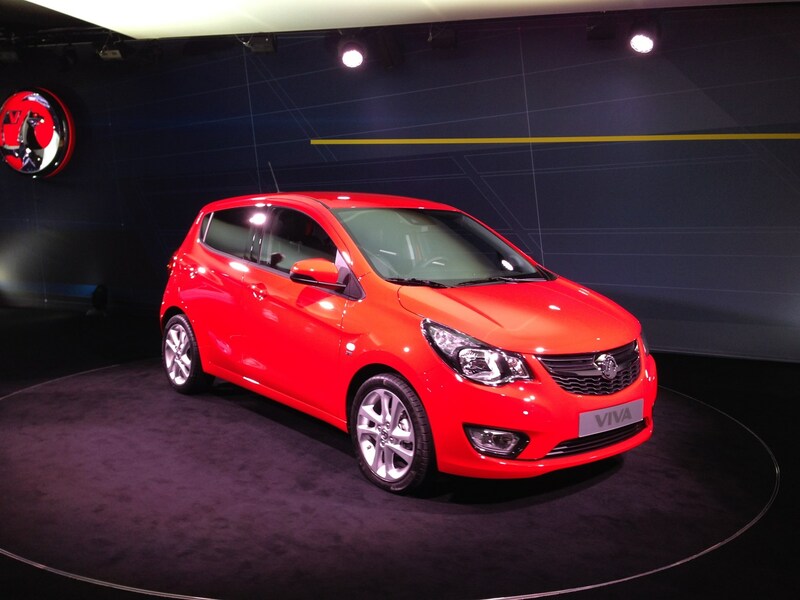 There’s an all-new small car on Vauxhall’s Geneva motor show stand which resurrects a name not used since 1979 – Viva. Replacing the Agila in the range, the new Viva sits below the fashionista-chasing Adam and heavily revised Corsa as part of a triumvirate of small car offerings from Vauxhall. Viva’s role is simple: it offers spacious, no-nonsense transport for more budget conscious buyers, targeting the likes of Dacia’s Sandero and Ford’s next-generation Ka. Only one engine has been confirmed for the Viva so far – a 74bhp, three-cylinder 1-litre petrol motor. We’ve driven turbocharged versions of this power plant in the Adam and Corsa and found it to be smooth and punchy. How it performs without the turbo remains to be seen. Cheaper than the Corsa and significantly more appealing than the Agila it ousts, Vauxhall fans will warm to the Viva. Whether it attracts new money to the brand will depend on how good it proves to be on test and how competitively priced it is. When the Corsa range was given a thorough reworking at the end of 2014, one model was conspicuous by its absence – the range-topping VXR. 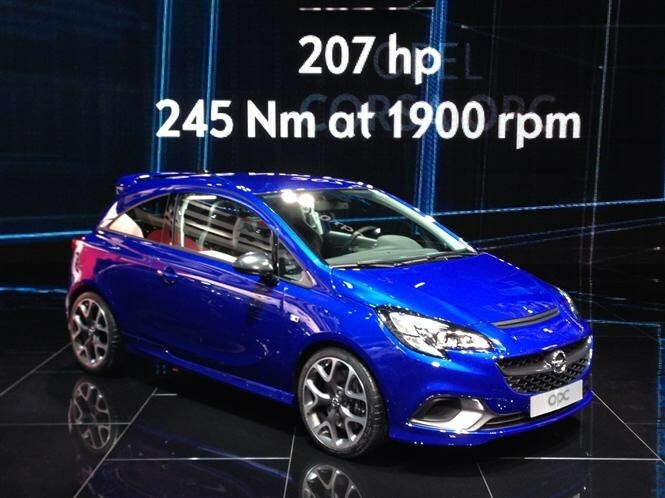 Vauxhall’s chosen Geneva to redress this, the latest Corsa VXR revealed certainly looks the part, with a particularly aggressive development of the latest model’s styling, including an additional grille just in front of the bonnet line. Powering the Corsa VXR is a revised 202bhp version of the 1.6-litre turbocharged engine, producing up to 280Nm of torque from as low as 1,900rpm, suggesting accelerative performance should be improved too. Click here to read the review of the previous Corsa VXR. There was no doubting the outgoing Corsa VXR was quick but the likes of Ford’s Fiesta ST and Peugeot’s 208 GTi 30th Anniversary demonstrate how far the game’s moved on. The new VXR has quite a task on its hands. In the second half of 2015 new Vauxhalls will be available with OnStar, parent company General Motors’ connected car service. A press of a dashboard button connects you to an operator in a call centre who can advise on nearby amenities or how to deal with issues with the car. Diagnostics can also be performed electronically and if you’re unfortunate enough to be involved in an accident where the airbags are deployed the local emergency services are contacted giving your precise location. Additionally, OnStar turns each Vauxhall equipped with the system into a wifi hotspot, allowing passengers to access all manner of online services on the move. Connected cars are going to become commonplace in the near future and General Motors already has seven million OnStar customers in North America and China. As buyers become ever more tech savvy, this could give Vauxhall an edge until rivals catch up.